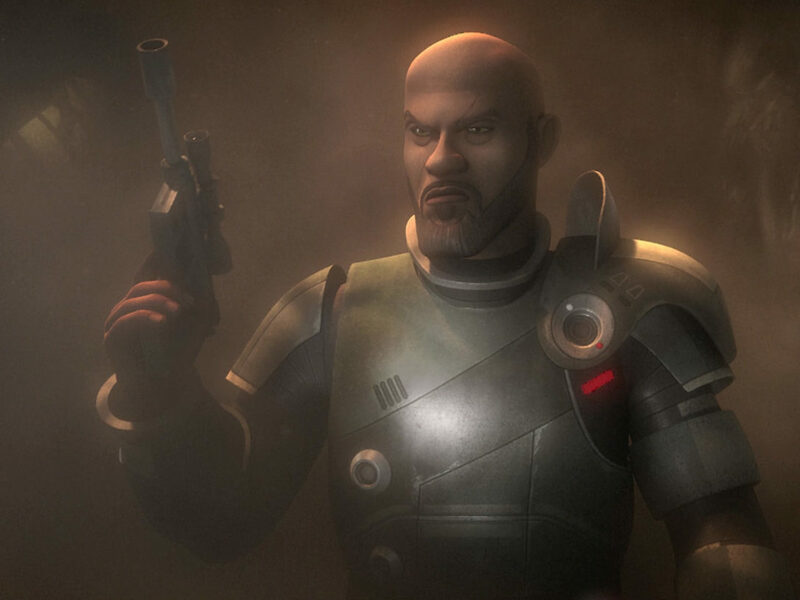 Welcome to the rebellion, Wedge. Wedge Antilles has been part of the Star Wars cinematic (and literary) universe for decades, but “The Antilles Extraction” is our first introduction to one of the best pilots in the entire saga. Here are my 10 favorite moments from the episode! 1. Starships and starfighters aplenty. 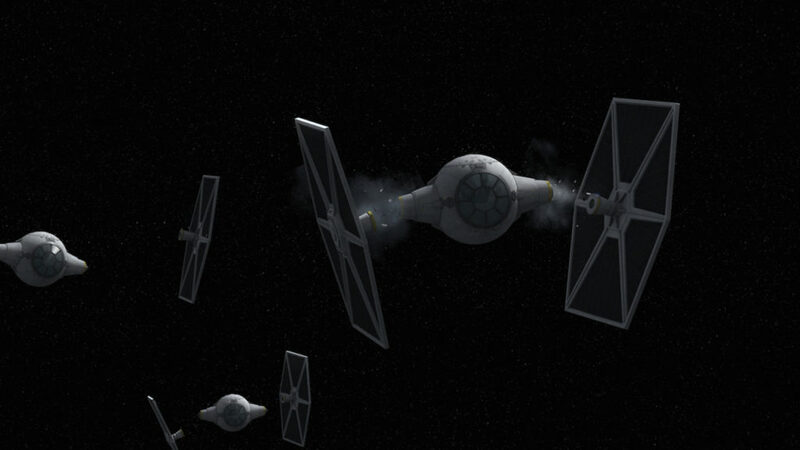 From the TIEs peeling off the Imperial ship to the final blast at the transport, the opening dogfight shows the might of the Empire. The rebel pilots do what they can to fight back, but it’s no use. What a way to start the episode — and it puts the stakes right up front. 2. Sabine’s going back to the Imperial Academy. I’m sure we all had the same reaction as Ezra to hearing the codename “Fulcrum,” but the mission is what Fulcrum’s all about. 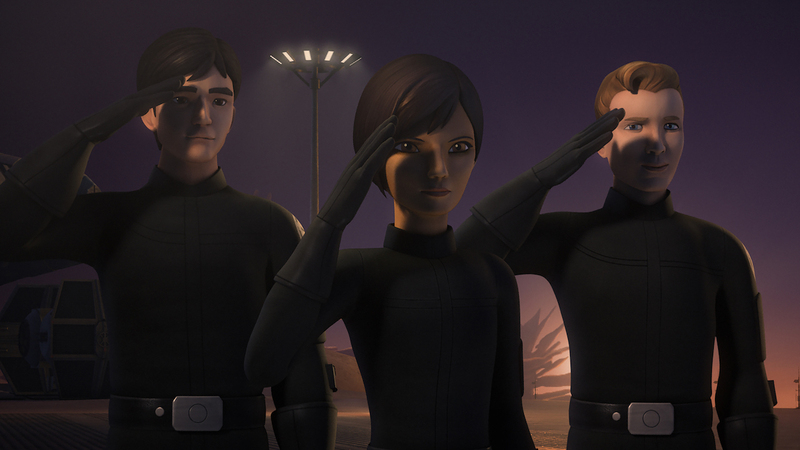 Cadets at Skystrike Academy are looking to defect and Hera’s sending Sabine undercover. 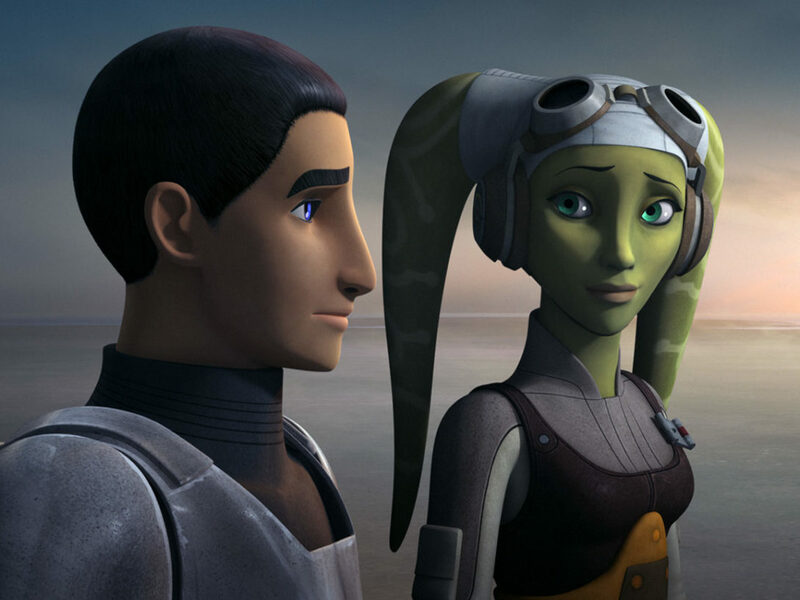 Ezra balks, but Sabine reminds him she actually was a cadet. It’s probably that experience that gets her through the ID close call. It’s so strange seeing her with “regular hair,” isn’t it? Hi, Wedge! Nice to see you. 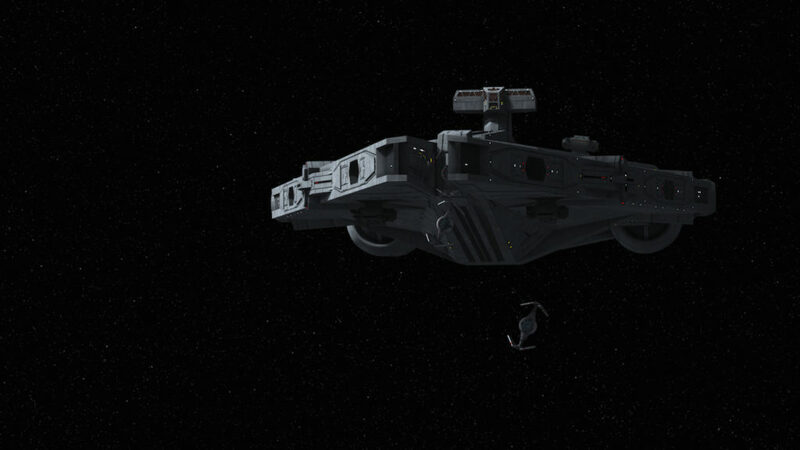 On their first flight simulated test, Sabine and Wedge are a well-oiled machine taking out Y-wings with ease. 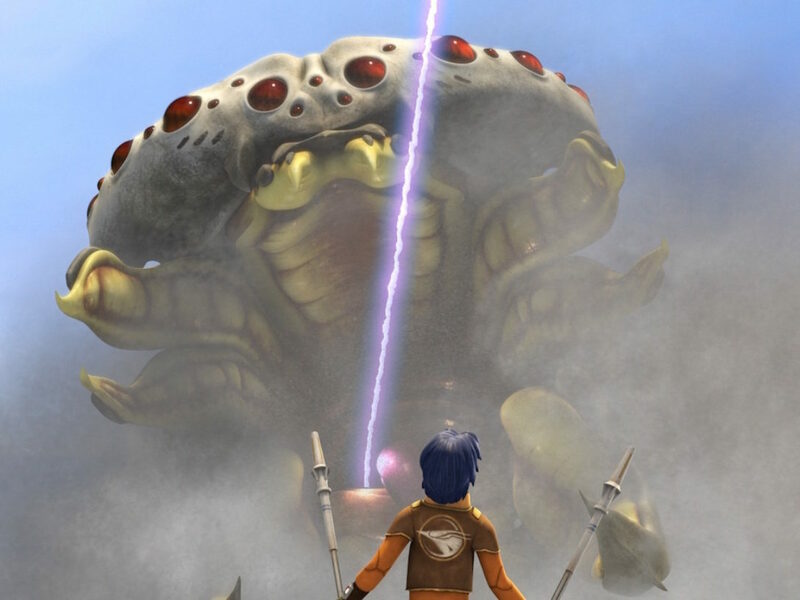 However, things go sideways when Sabine questions the order to destroy the transport — and when a rebel ship is designated as a target, Sabine is so shocked, her TIE is destroyed. Luckily they’re in pods, so no one’s hurt, but Sabine’s definitely feeling the heat from her instructors. 4. 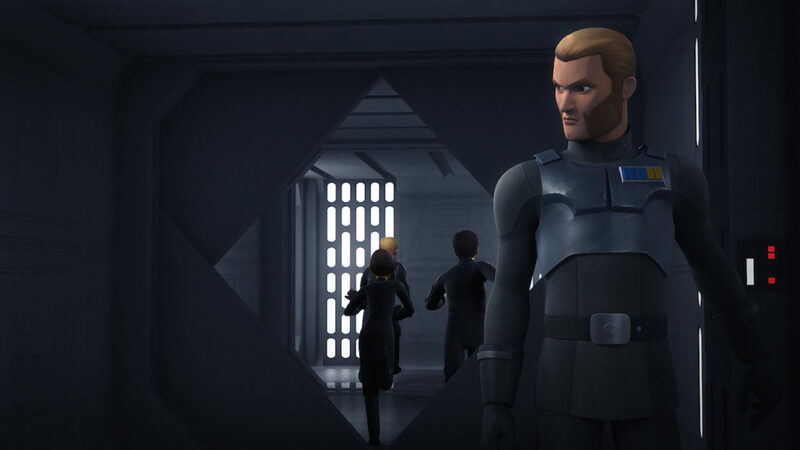 Here come Governor Pryce and Agent Kallus. 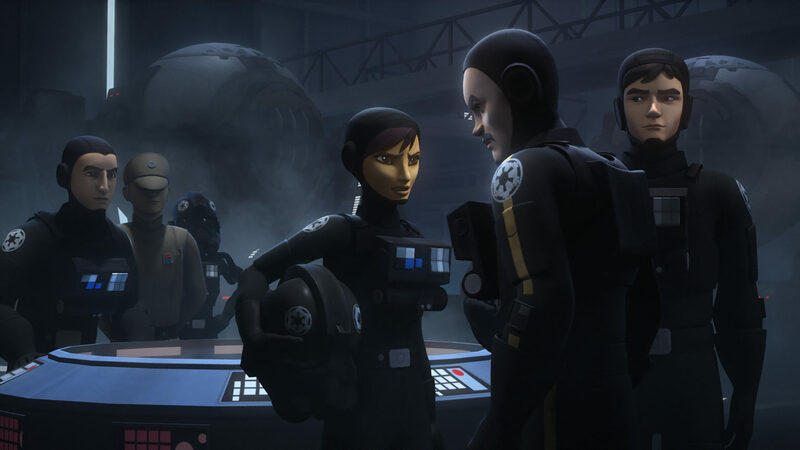 The Empire knows there are defectors at the Academy and Governor Pryce is confident they’ll expose them. When she tells Kallus to begin his investigation, she adds a cool, “My hope is that I might teach you something today.” You can hear Kallus grinding his teeth from a parsec away. Sabine overhears Wedge, Hobbie (hi, Hobbie! ), and Rake whispering — and takes a chance, talking to Wedge alone. While we know he’s the defector, she has to tread carefully. Once she knows the deal, however, she’s all ready to get going. 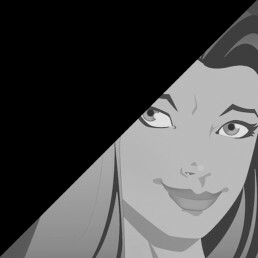 And soon she has a plan. Poor, impatient Ezra. 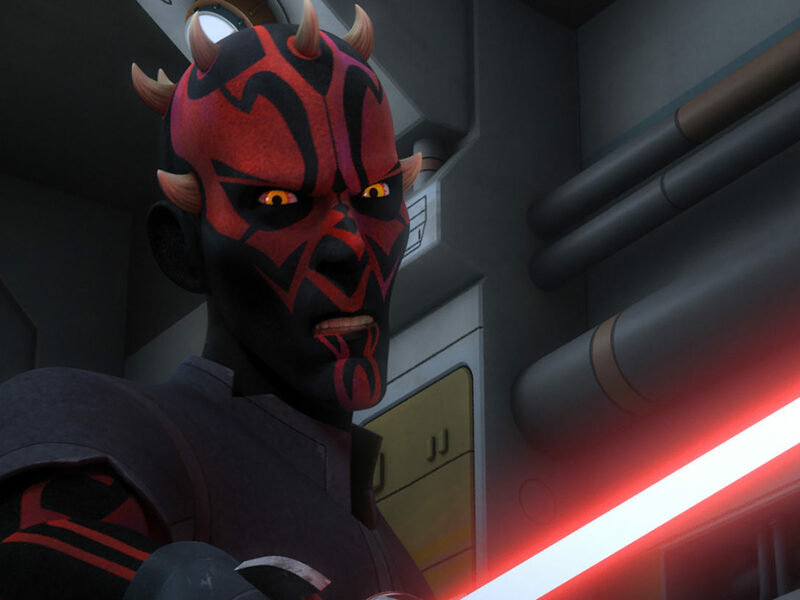 He really dislikes being out of control and out of contact with Sabine. Not being able to be there to keep her safe is making him crazy. Kanan reminds him that part of being a Jedi is accepting that not everything is in your control. Something tells me this is going to be a really hard lesson for Ezra to learn. 7. You have to admit, Governor Pryce is very good at what she does. 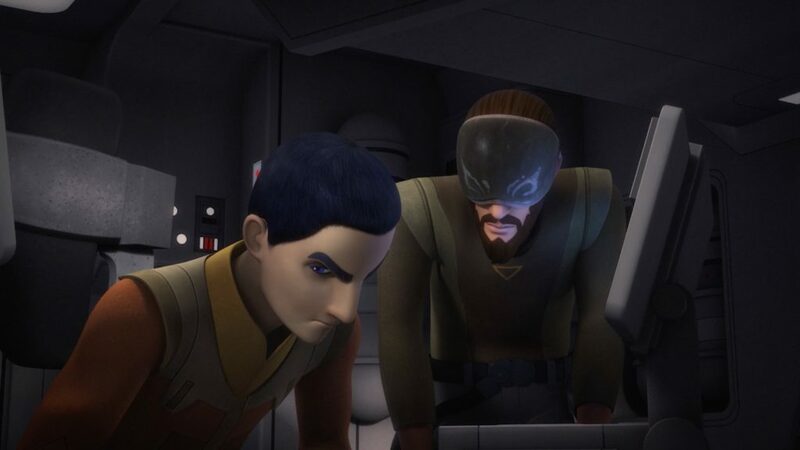 Pryce’s plan to find the defectors doesn’t make itself known right away, but once Sabine makes a break for the rebel transport, Pryce is ready. She remotely dismantles the wings of the TIEs, leaving them floating and defenseless in space. 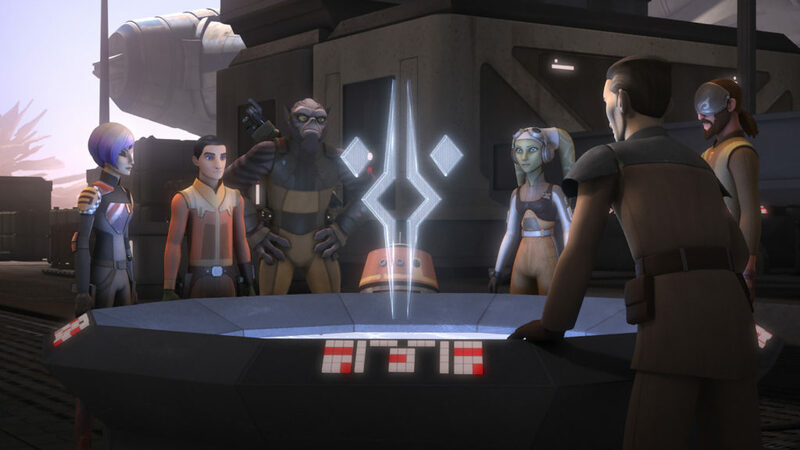 She orders Vult Skerris to fire on one of the pods (poor Rake) and Kanan and Ezra’s ship, forcing them to retreat. 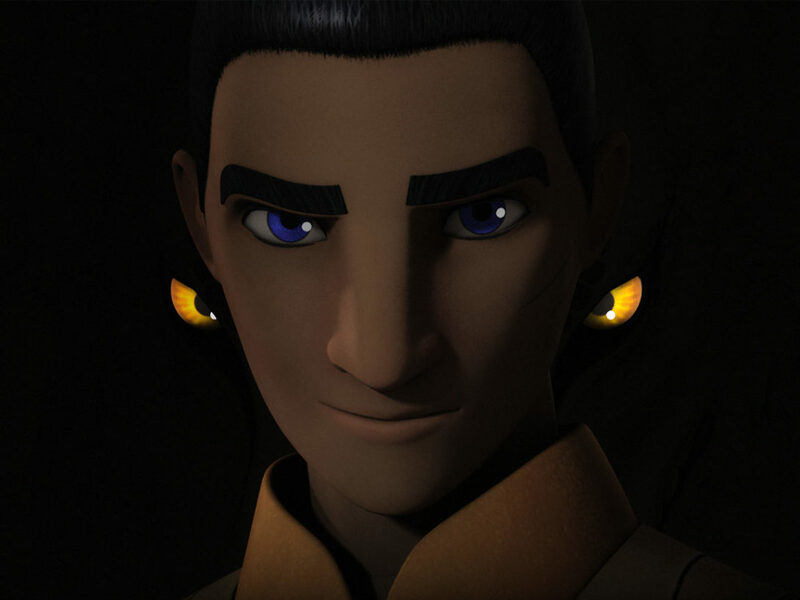 Ezra wants to stay and fight, but Kanan reminds him that there are alternatives to fighting. 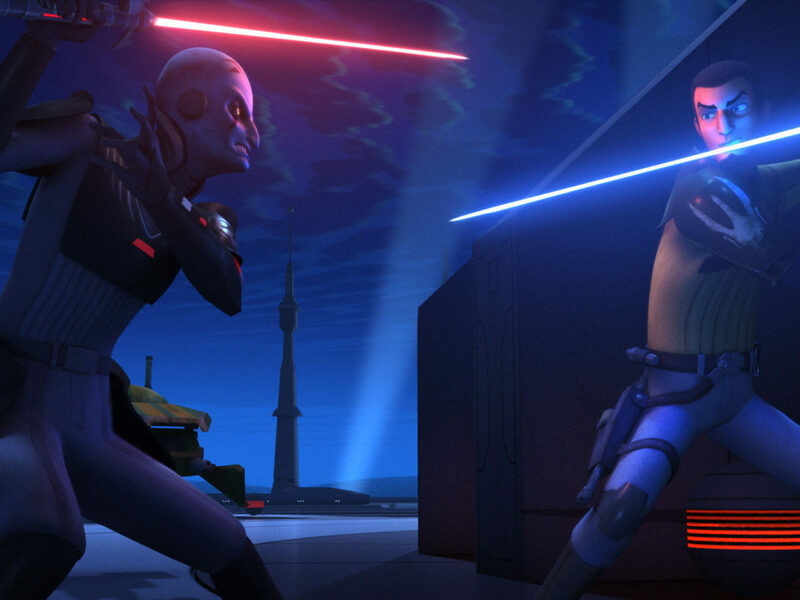 Once Pryce has them prisoner, Sabine reveals herself as the rebel when Wedge is about to be hurt. 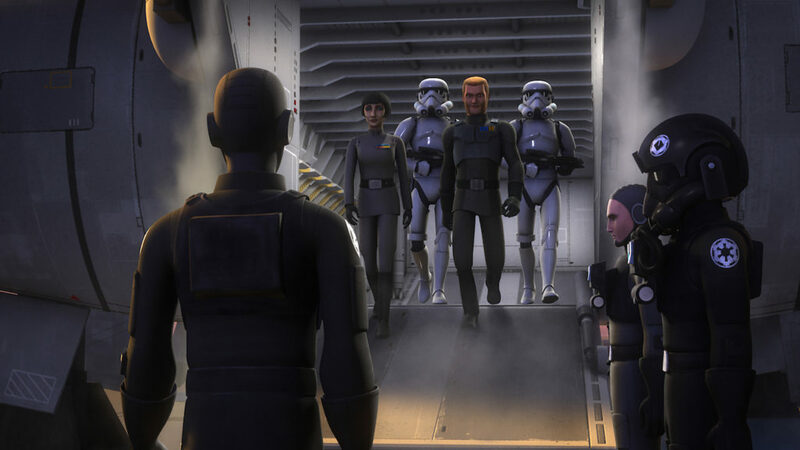 Unbowed, Sabine sasses Kallus as Wedge and Hobbie are escorted to a cell. She takes out the two troopers in a snap and the fight is on. Pryce is good, but Sabine’s better. Not only does she soundly win the fight, she rescues Wedge and Hobbie. 10. Welcome to the rebellion. 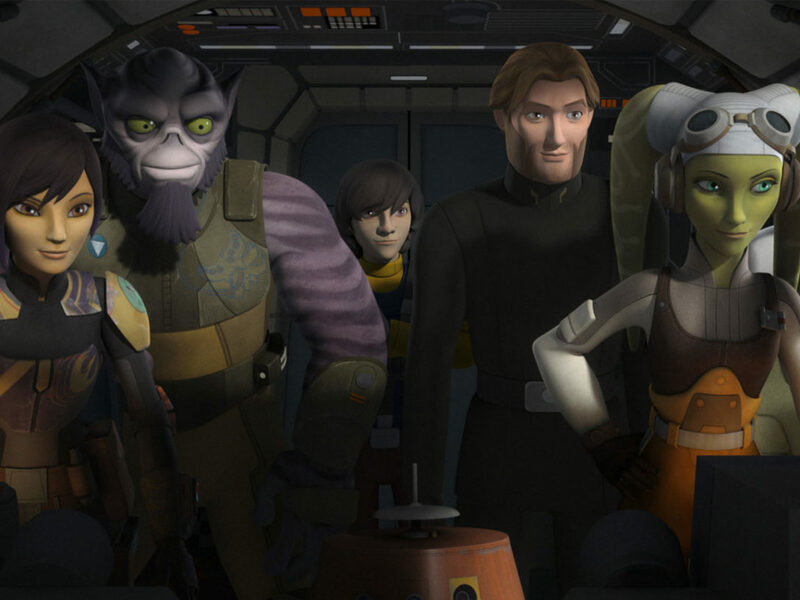 With Vult Skerris hot on their tail and their ship damaged, it looks like it’s over for Sabine, Wedge, and Hobbie –until Ezra and Kanan jump back in, just in time. Pretty soon, it’s time for lightspeed and officially introducing Wedge and Hobbie to the rebellion. Those were my moments for this week’s episode. 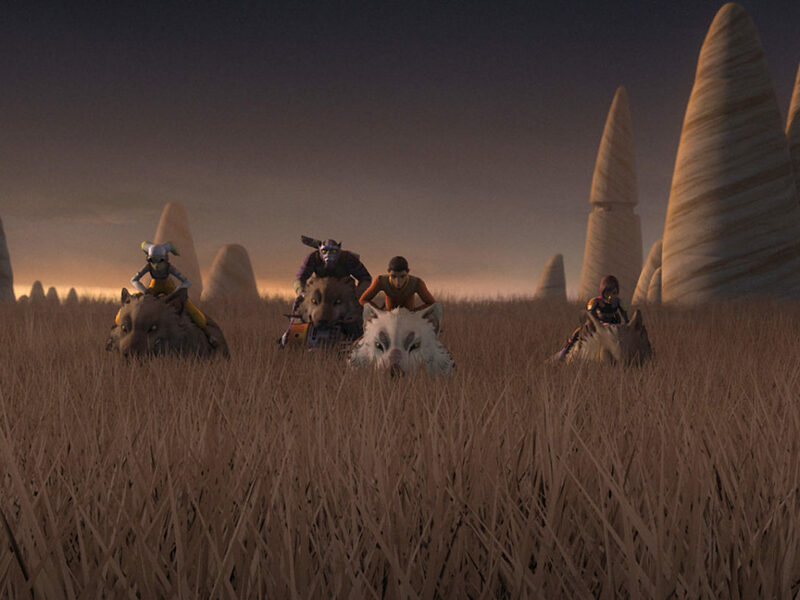 Tell us what your favorite moments were in the comments, and may the Force be with you!